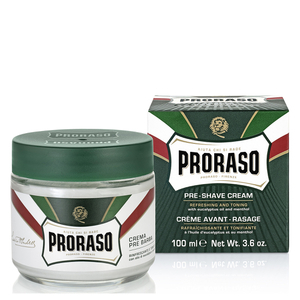 The Proraso Shaving Cream Tube - Eucalyptus & Menthol works up a rich lather that allows you to enjoy a close and comfortable shave. Formulated with an expert blend of eucalyptus oil, coconut oil, menthol and glycerine, it nourishes and conditions your skin, leaving it silky soft, whilst minimising the risk of irritation. - L.M.